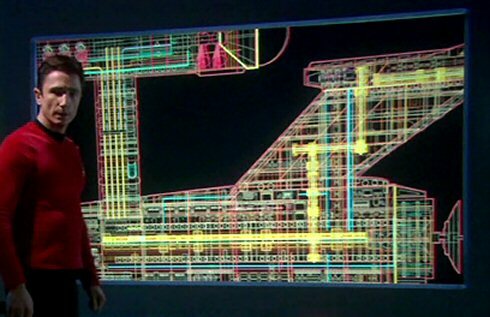 I've been studying these plans for hours and I still haven't been able to locate any bathrooms. Look sir...i found Brookstone. Its next to the Dairy Queen. Sir, sir! I found where the beer is hidden on this ship! This is our newest illustration of the ship....all they gave me to work with was Lite Brite. I knew we should have taken a left at Albuquerque!